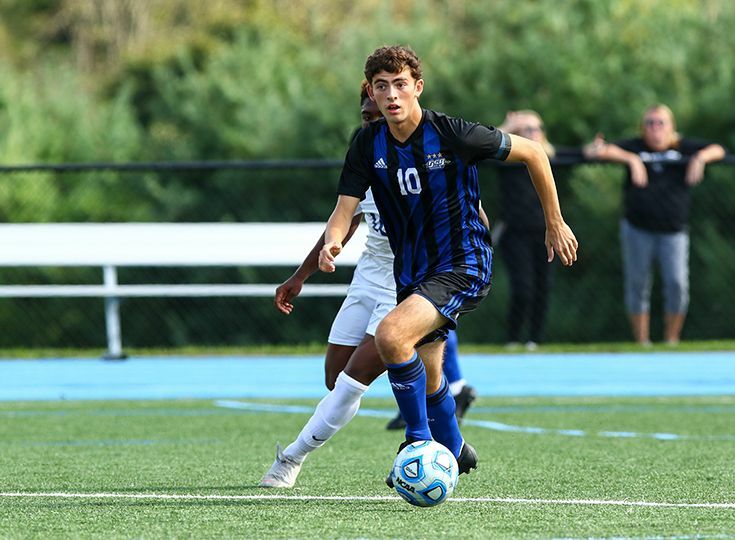 Congratulations to boys’ soccer co-captain Andrew Moglianesi on being named Skyland Conference player of the week by NJ.com! The Knights have been on fire recently, posting a 5-1 record during the month of October to help raise their overall record to 7-7-1. Moglianesi has been a major contributor to that success. During this six-game stretch, the senior has scored six goals and recorded three assists, including a crucial two-goal performance in a 3-2 win over Montgomery on October 8.